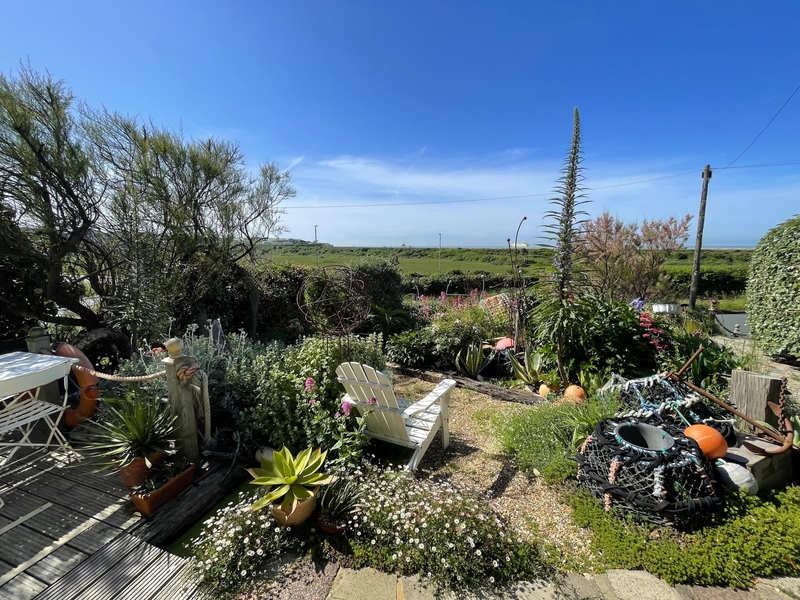 A small garden by the sea, full of character, with inspired planting and design, said Monty Don in his introduction to Driftwood on BBC 2 Gardeners’ World. 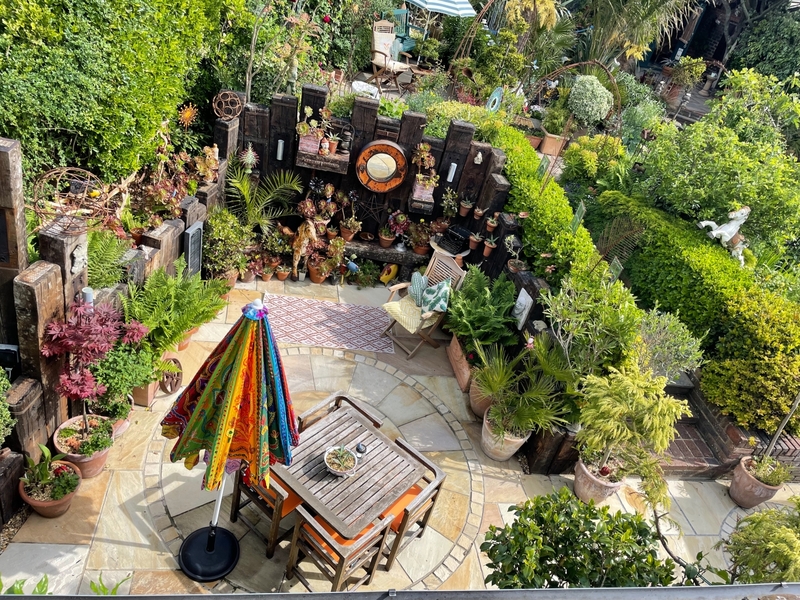 Sunday Telegraph said Geoff’s enthusiasm is catching, he and his amazing garden deserve every visitor that makes their way up his enchanting garden path. Coast Magazine said Geoff’s baking is almost as big a draw as his inventive plantsmanship. 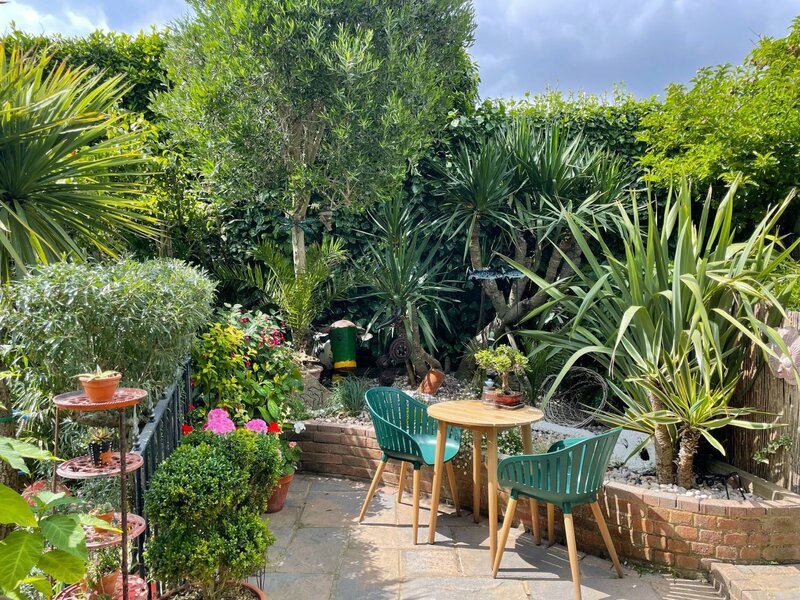 When we bought the house 15 years ago, the garden was an exposed sloping plot, frequently battered by salt laden winds that sometimes exceeded 50mph! I’m sure this had something to do with it featuring on BBC 2’s Gardeners’ World in the Autumn of 2016 and being the smallest garden listed on the Great British Gardens website in 2017. In June 2018, the garden received a 2nd successive Trip Advisor “Certificate of Excellence”. Visitors from Sweden, Belgium, Netherlands, USA and Australia. 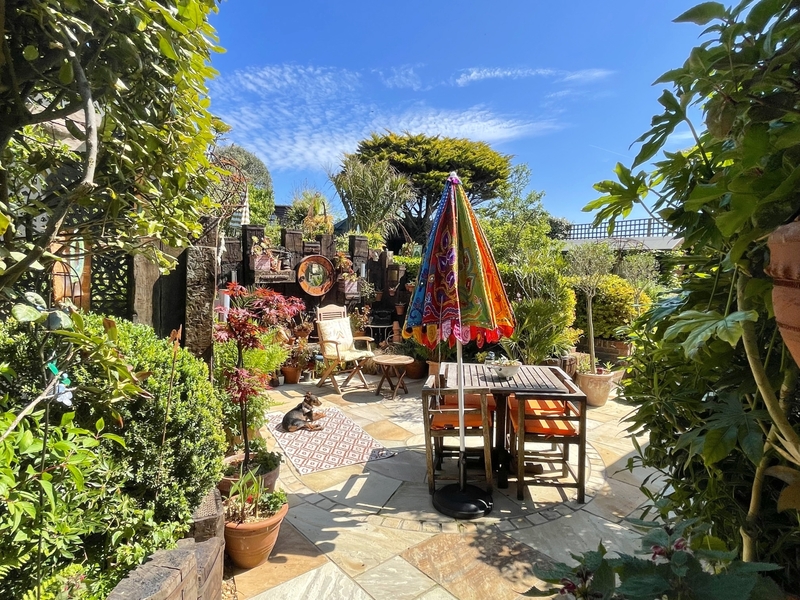 So, come visit this exuberant yet immaculate seaside garden. The heavy, dense plantings with no lawn and no exposed soil, split into 8 mini garden rooms, create the illusion of a much bigger garden. 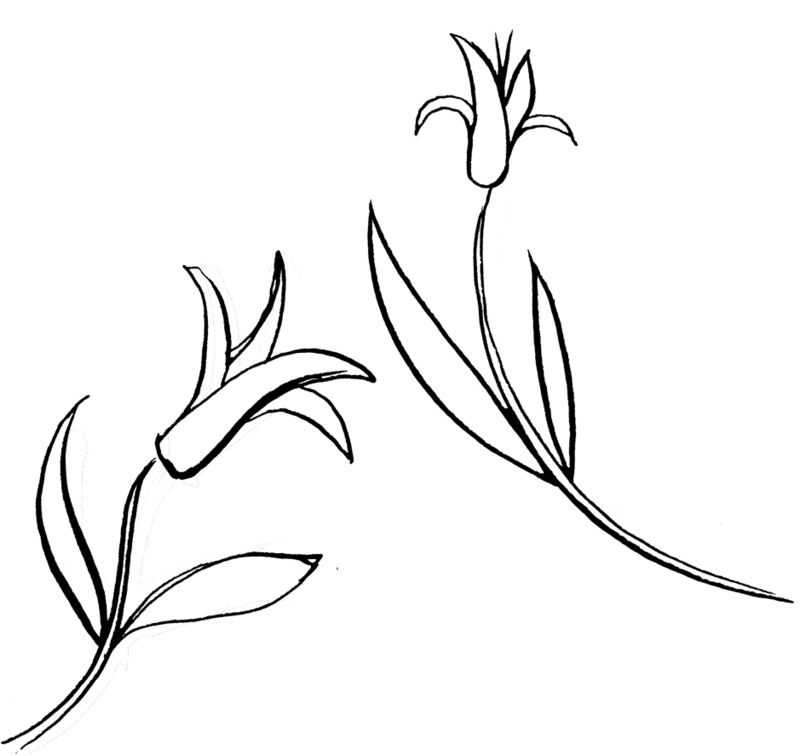 It remains a very personal plot with plants and objects once owned by family and friends. 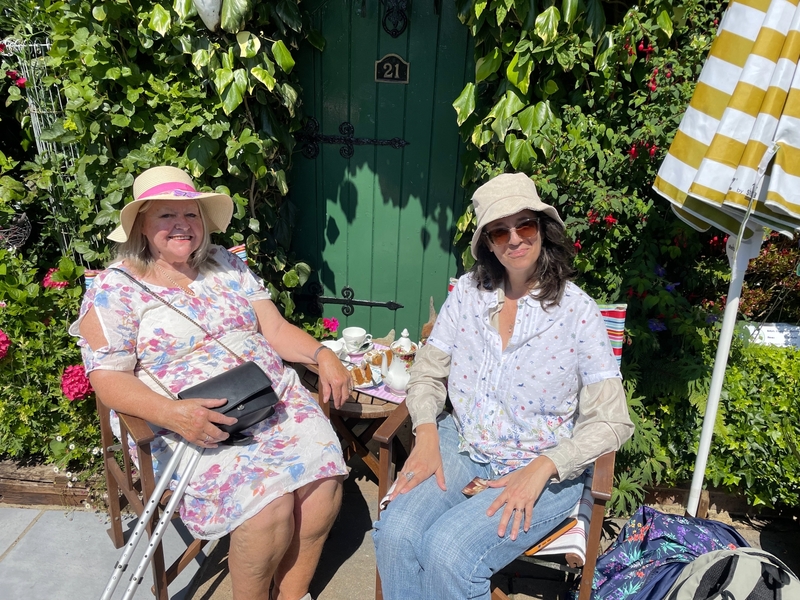 Great teas, home-made cakes and savoury items to enjoy in the garden too, all served on vintage china with teapots on trays. We look forward to seeing you this summer. Plant supports and garden decorations for sale as well. Since 2012, Geoff has had a monthly spot on BBC radio Sussex’s Dig It, Sunday gardening programme, talking about NGS gardens. Also, since 2012, there has been a monthly article in Garden News magazine about the garden, written by owner Geoff. 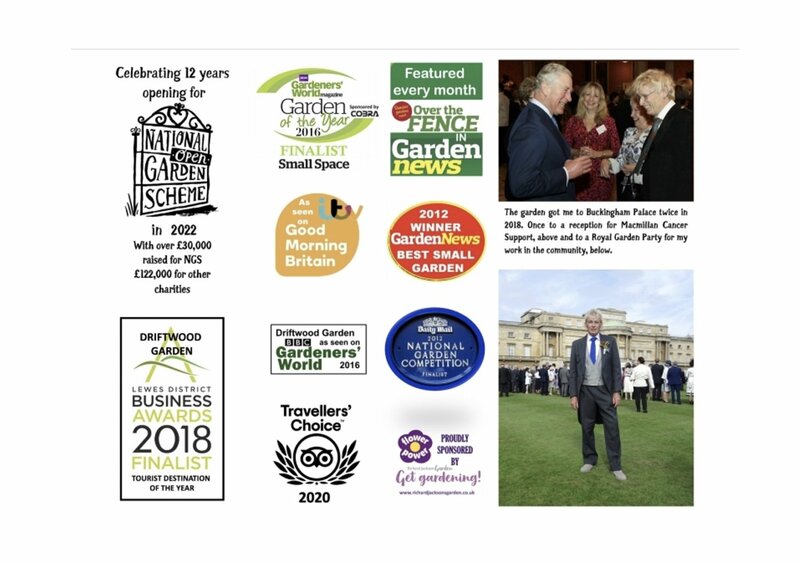 Since December 2015 Geoff has written a monthly blog on The Garden Media Guild's award-winning garden website, Richard Jackson's Garden. Geoff also has a weekly gardening column in The Argus newspaper in Brighton and regularly writes pieces for local magazines on open gardens. Featured on both BBC2 & ITV, and BBC SE Today, plus extensively in local and national press in recent years. 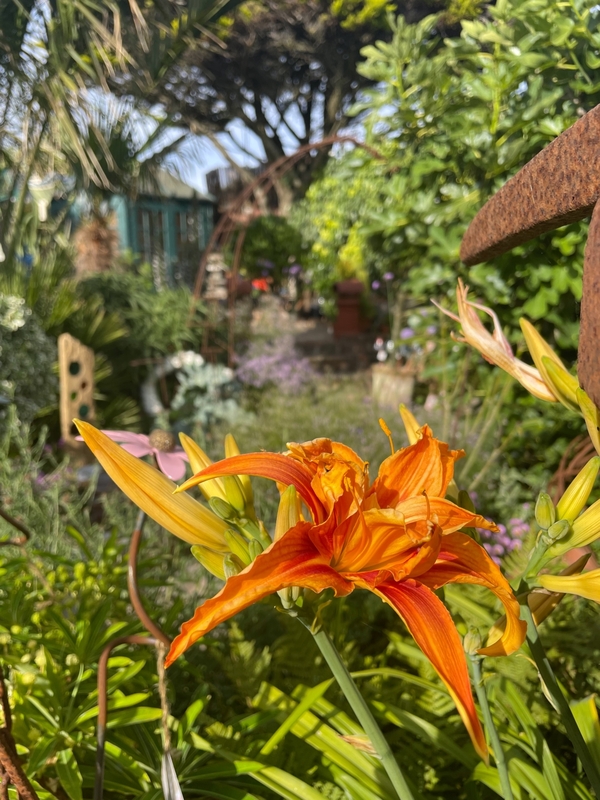 You can also read up to the minute reviews on TripAdvisor at Driftwood Garden East Sussex. 2018 saw features in America in Flea Market Garden Style, a full page in the Daily Mail in August and an 8-minute film on BBC SE Today. In 2017 the garden had an 8-page feature in August issue of Coast magazine, was listed on the Great British Gardens website, featured in the Best of England Sussex Guide and on their website. 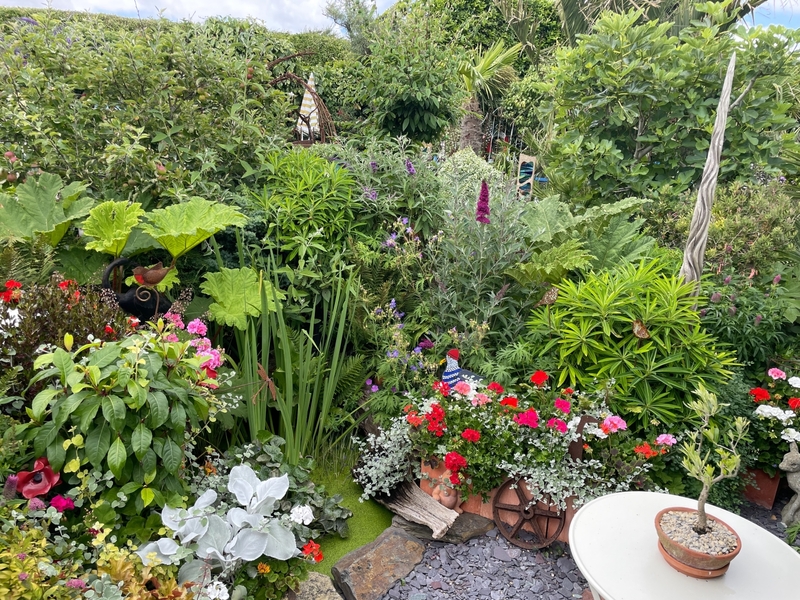 The garden featured in Country Gardener Magazine in June 2017 too and Geoff was listed as an influential personality in the Sussex gardening world in Sussex Life Magazine. In 2016 the garden was featured on BBC2’s Gardeners’ World and was a finalist in the Gardeners’ World Garden of the Year in the small space category. It featured in BBC Gardeners’ World magazine in November and Period Homes and Interiors July issue. 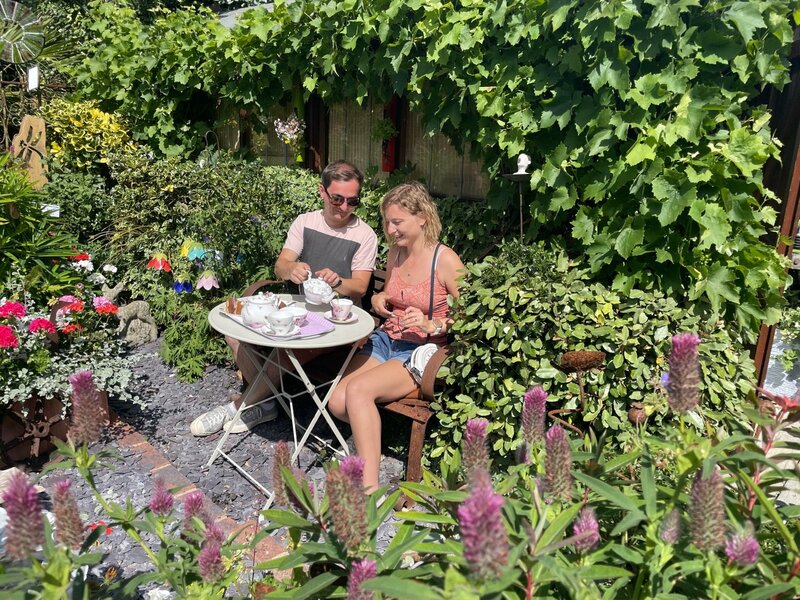 In 2014 featured live on ITV’s Good Morning Britain in July and in Garden Answers May, Etc magazine April , 100 Idees Jardin a national French gardening magazine in February and incorporated in an article in the Sunday Times in June. In 2013, featured garden in Mail On Sunday, Sussex Life and featured in 360° Panorama in 'Mail Plus', Weekend Magazine’s on line version. Holder of coveted Daily Mail National Garden competition blue plaque and winner of the Best Small Garden in the UK for Garden News magazine, both 2012. A real must see garden say many TripAdvisor visitors - awarded Certificate of Excellence 2018 for over 88, 5-star reviews. Large selection of home-made cakes and savoury items available, all served on vintage china, on trays, in the garden. Featured in Daily Mail and 8 min film on BBC SE Today (Aug 2018). 8 page feature in Flea Market Garden Style, a USA magazine (Apr 2018). Finalist Lewes District Business Awards Tourist Destination of the Year 2018. A259 between Seaford & Newhaven. Turn L into Marine Drive from Bishopstone Rd, 2nd on R. Only park same side as house please, not on bend beyond the drive. Steep drive, narrow paths and many levels with steps. Help readily available on-site or call ahead before visit.